And just like that, it was December! Wow! What happened to the last few months??? I feel like I was just in Spain and came home to a time warp! These months have just flown – faster than any months in my life ever. To be honest, we’ve done very little in the way of baby preparation, but now that it is December, we are getting down to the wire. 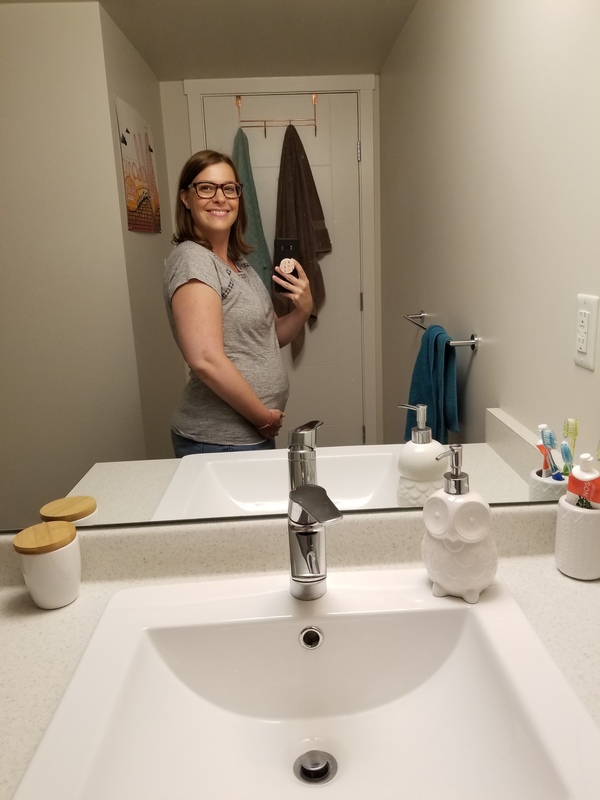 I hit 32 weeks today! The start of the 8th month. This one will fly. We’ve got so much going on this month, so I know getting little things we need will help. 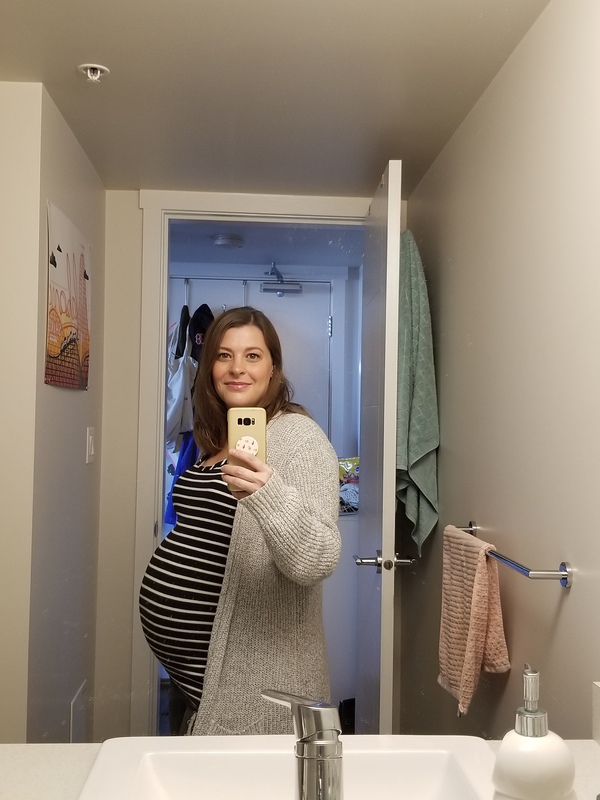 This post is less about travel and more about this pregnancy adventure. I don’t think I ever imagined pregnancy, or what it would be like to be pregnant. It was always so alien to me, so foreign, and something I never really thought I would experience. Until Beto and I got together. Kids was a topic we talked about almost immediately. We talked about all sorts of things, but family is very important to both of us, and we knew that we wanted kids together. Whether “kids” will be just the one or if we will venture down this path a second time, we don’t know, but it became something important. 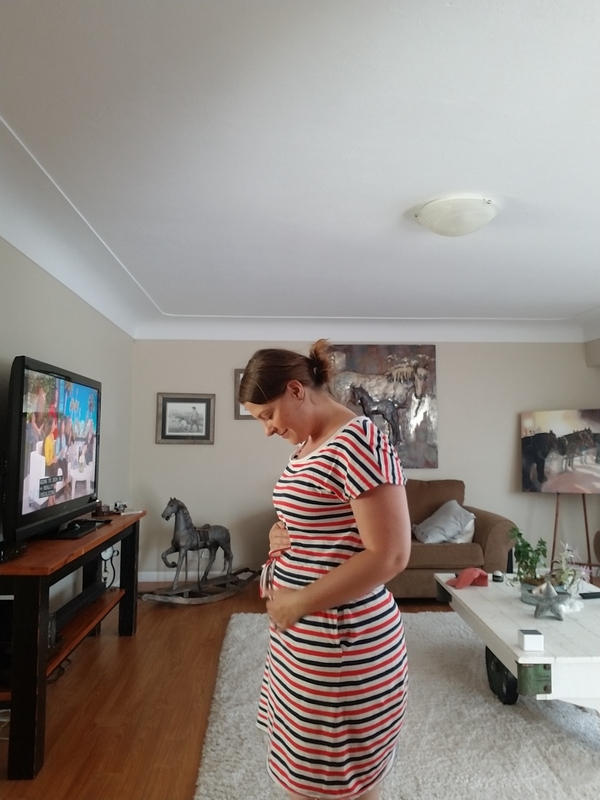 So, pregnancy- I think I got lucky with this one! After finding out I was pregnant, I imagined the hell I was in for. I had always heard about the morning sickness, the aches, weight gain, cravings, mood swings, etc., but now I was going to experience it. When the morning sickness didn’t really come, I thought, “There must be something wrong!” My midwife assured me, there is not. The cravings never really hit, other than ice cream in the first trimester. Weight gain – well, that’s real, but I’ve managed to keep it controlled. 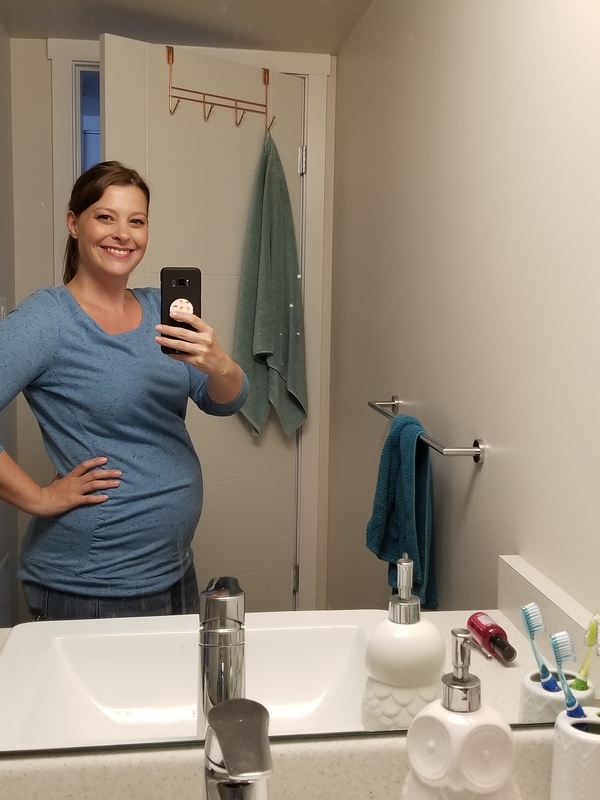 Mood swings – Beto could probably tell you a few stories, but I think most of the second trimester was good, and so far the third has been relatively smooth. Aches – well that’s a story of its own. The first trimester my feet hurt all the time. The second was pretty pain-free, save for the growing of my uterus. The third, my back. Always with my back. Acupuncture helped some, but it’s not likely to go away until I give birth. Birth! That was something I didn’t put much thought into! I was with my best friend when she gave birth for the first time. I was 22 years old, and it was singlehandedly the most traumatic experiences of my life. In the same breath, it was also amazing to see this human life come into the world, who would become this amazing, brilliant, beautiful kid. That was enough to keep the kids topic at bay for the next 10 years. By the time I knew I wanted kids, I wasn’t in the right place for it. I wasn’t with the right person, I wasn’t in a financial situation which would make sense, and I wasn’t ready to undertake that immense responsibility. But then when Beto entered the picture, those things started to come together. Things started to make sense, and the idea didn’t seem so crazy anymore. When things fall into place so easily, you wonder why you let yourself suffer for so long before. Still, there’s never a perfect time. If you always wait for the perfect time, you will always be waiting. Life will happen, things will come up, money will come and go, and before you know it, you’ve waited for a day that will not come. Over the months, I’ve become part of these “mom” groups on Facebook. I thought they’d be a great chance for me to connect with other like-minded moms, but I mostly just feel myself getting overwhelmed and frustrated by them. One good thing came out of it – I did make a new “mom” friend, who I should have run into a million times before with our work history running so close, but mostly these groups don’t make me feel supported. I realized I have that support through my family, Beto’s family, and our friends. So now, at 32 weeks, the beginning of the 8th month, I reflect a lot on the events, the things I’ve been through, that got me to this point. I think of the experiences in life I’ve had that will make me a better mother to this little boy. I think about all of those things I had to go through that made me want him in my life more than anything before. I think about what kind of person he will be, and what lessons he will teach me. There are so many thoughts, but I am mostly just excited to meet him. I can’t wait to see what parts of me are reflected in him. I’m excited to see Beto, this amazing, thoughtful, smart, creative, kind man, as a father guiding his son through life. I am excited to see how Otto will react to his new little “brother”. There is so much ahead of us, so much to look forward to, and this adventure is only getting started. Next postWhat was I thinking?